For the following scenario in the milk market, identify the type and cause of change. Note that these scenarios are asking about producer behavior—supply and quantity supplied. Scenario 3: The price of feed for milk cows drops to a new low. That's incorrect. Cheaper feed for milk cows would cause the supply curve for milk to shift to the right. That's correct. Cheaper feed for milk cows would cause the supply curve for milk to shift to the right. 2. 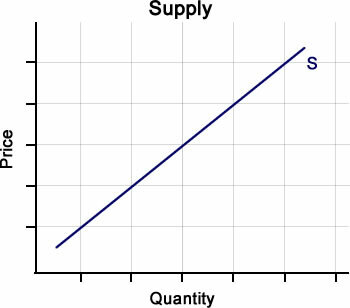 Based on Scenario 3, which factor caused the change in supply? That's incorrect. Cheaper feed for milk cows, an input in the milk production process, would lower milk production costs and increase the supply of milk. That's correct. Cheaper feed for milk cows, an input in the milk production process, would lower milk production costs and increase the supply of milk.